Albert won the DCMA Award for Best Musician Of The Year 2018.. AGAIN!!! In 2017 he won this award too, while the band won the award for Best Electric Band Of The Year 2017! We want to thank you all so much for voting! Yessss.. We won again... AGAIN!!!! 'Best International Country Band by the ACMF' 2018 in Austria! We are very pleased and honoured to receive this award. We want to thank everyone who voted for us! "MODERN COUNTRY GROUP OF THE YEAR 2016!" by the prestigious JOSIE Music Awards NASHVILLE USA. Sarah Jory joins MRP as an extra feature to the band. After her years in the band with Van Morrisson, the princess of Steel Guitar Sarah Jory is back on Track in the Country scene. Sarah has her own 'SARAH'S HOT PICKS on KEEP IT COUNTRY TV' every Thursday. Sarah's NEW CD celebrates 2018 as her 40th year in the music business. The CD contains some classic tracks, along with some new material. MRP's - EUROPEAN DECADE TOUR 2018 - has a long list of places to go. Some of them will be featured with Sarah Jory (GB). We're proud and honored to have the opportunity playing with her! Also, MRP will contribute on shows with Albert Lee (USA), Pam MacBeth (USA) and Franz Lippert - known from The Voice of Germany 2017 (GER) this summer! Check out our Tourlist 2018 for a gig near you..! Our drummer Hans Molenaar gave an informative interview in one of Dutch most leading drummers magazines. 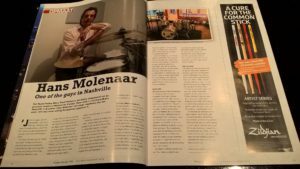 "Music Road Pilots präsentieren auf "NashVegas" eingängige europäische Countrymusik auf hohem Niveau..."
"Thank you so much guys ! I had the best time and one of the most awesome and enjoyable gigs I have been involved in , in a long time !! The world needs to know about MRP ! See you in Holland in July ! Can't wait ... Sarah j xxxxx"
- The Music Road Pilots/MRP is a great Dutch blend of Americana/country music. - ‘NashVegas’ will propel, The Music Road Pilots to the top of the charts and their next award! "Country leeft! Wat een prachtig album mannen, precies zoals het bedoeld is!‪ #‎genieten‬ ‪#‎musicroadpilots‬"
"Ik mocht vandaag het album Nash Vegas van Music Road Pilots ontvangen. Ik zit het met veel plezier te luisteren. Het is een prachtig album geworden jongens! Super tof dat ik mijn steentje mocht bijdragen aan jullie juweeltje." "Wo habt ihr euch die ganze Zeit versteckt? Eine wirklich klasse Band zur Aftershowparty im Western Saloon Fontanehaus." "Even een shout out naar MRP!! Net jullie nieuwe cd geluisterd.. wat een onwijs goeie cd!!" Early 2008 Albert Rumengan, accomplished Dutch guitarplayer, formed the band “Music Road Pilots”. The mission from the beginning was to create a modern country sound mixed with classic Americana-Styles. The music is still rooted in the warm, raw authentic folk sounds as sung by artists such as Hank Williams, Ray Price, Merle Haggard, Buck Owens and George Jones. MRP uses this great classic sound and merge it with the fast paced country-rock of today. The MRP band members interpret their cherished roots in a unique European way to bring you music with a compelling new twist: Traditional Country, Country Funk, Southern Rock, Rock ‘n Roll and Blues. Inspired by contemporary artists such as Keith Urban, Brad Paisley, Vince Gill and Dierks Bentley, the band focuses on energetic live performances with great entertainment value. Americana and Modern Country… at its best! Immediately after the release of their first album “When She Gets Close To Me” the band took the industry by storm. Many spectacular shows across Europe raised a lot of attention as Music Road Pilots showed up at most of the popular venues and festivals in more than fifteen countries. In three years time the band established themselves as one of Europe’s best and most exciting Country-acts. Along the way they shared stages with LeAnn Rimes, Dwight Yoakam, Connie Smith, Bobby Flores, Darryl Worley, Billy Yates, Danni Leigh, Aaron Watson, Will Bannister and ZZ Top. In 2013 and 2015 Music Road Pilots was voted “Best International Country Act” in Austria, and also in 2015, the band was voted “Best Country Band” by online magazine “Fair Play Country”. In 2016 they toured with the legendary Country Music Hall Of Fame artist Charly McCoy (USA) and sister of the legendary Jerry Lee Lewis, Linda Gail Lewis (USA). And they released their second album “NashVegas”. They have been nominated by the Josie Music Awards in Nashville USA and won for the third time the ACMF Award in Austria for “International Band of the year”. Also that same year the band is additionally enhanced by World’s nr. 1 female pedal steel guitar player Sarah Jory (GB). 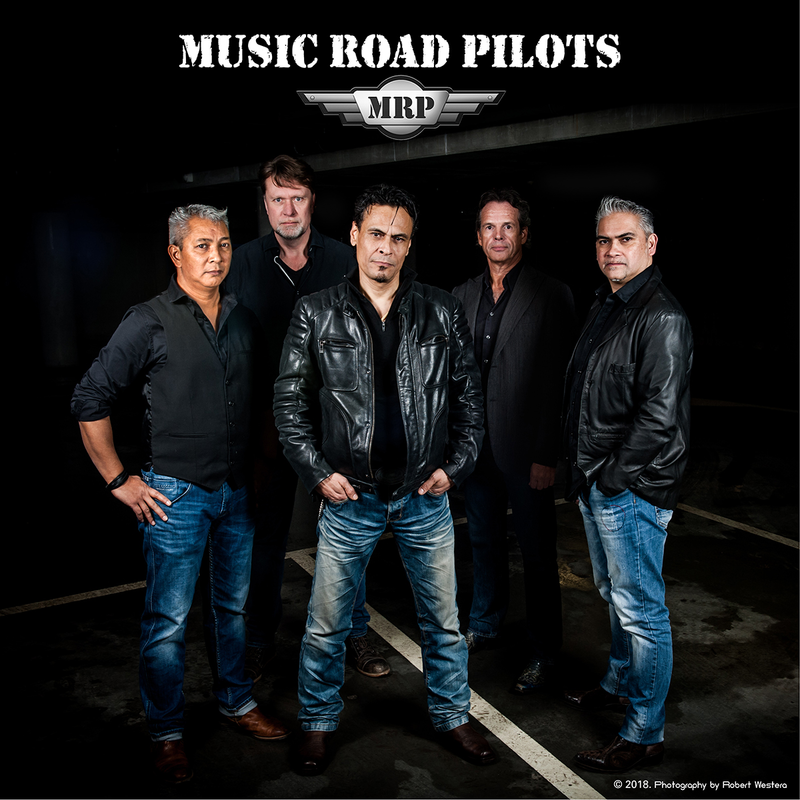 In 2017 Music Road Pilots was voted “Electric Band of the Year” and Albert Rumengan as “Musician of the Year” by the DCMA (Dutch Country Music Association). The Pilots are ready for the next stage on their flight plan! Music Road Pilots consists of accomplished, experienced musicians with a great track record.